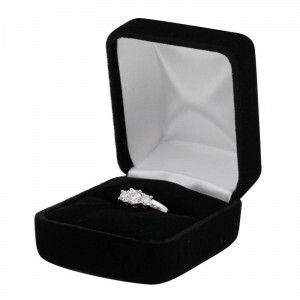 Our standard gift packaging includes a high quality jewelry box with an outer box. Our standard gift packaging comes free for items over $50. Please note that the box color and style may vary from the picture. Items under $50 are shipped in a gold foil, cotton filled paper box. You can upgrade by selecting our deluxe gift packaging below. card with pearl care instructions on the reverse. The price is just $7.00 for each item. You can add our deluxe gift packing at checkout. Please note that the box, ribbon, gift bag and tissue paper color and style may vary from the picture.